The nuns looked so clean and smart in their starched white habits. They looked like the saints in the pictures that hung on the wall of every classroom, and I dreamt of the day I could be like them. I was among two other girls who got excellent grades at the end of the school year and we were asked if we would like to study religion. They thought we were pious for our ages because we liked to spend endless hours inside the church. They didn't realize that the inside of the church was dim and cold and a welcome relief from the hot African sun. I couldn't wait to tell my father, who surprisingly said, “absolutely not!”. He would not like that kind of life for one of his girls, without husband and children. He enrolled me in another school, which had previously only admitted boys. Besides myself, there was another girl in the Roman Catholic Mission School in Burundi. The years I spent at this school made me quite tough as I competed only against boys. The nuns used excessive force in disciplinary matters. The fact that we were all adolescents might have had a good deal to do with it. Still, it didn't seem a very Christian thing to do. I was interested in religion and excelled in the study of languages and accepted a full scholarship to a university in Cameroon after graduating from high school. Again, as the only female, I enrolled in the College of Theology. I wasn't sure where I would go with it, but after a short while, the administration applied for a scholarship in the same College of Theology, but in Belgium. There I would learn how to be a Pastor in the Roman Catholic Church. My language ability aided me quite a bit and my mastery of some of the African dialects attracted me to missionary work. As the years went by, I began to see through the layers of theology and found the superficiality of their teachings; I was not alone in seeing the many contradictions in the New and Old Testaments. To learn that the 'Trinity' is mentioned only once in the New Testament was a surprise but when I learned it had been fully established at the Council of Nicea and that it was not part of what Jesus taught, something in my mind clicked. After graduation from University, I took a position in Nairobi, Kenya. The Church was very anxious to have an African in a position such as this. They had many programs for women and I was a coordinator for these programs under the auspices of the World Council of Churches. I handled different aspects of exhibitions, women's projects, donors, workshops and conferences. I was sent to the regional office in Togo because they are mainly French-speaking which I spoke fluently, and the type of projects I knew how to handle were being implemented there. I began to search for the spiritual force that was missing in my life and in Togo I searched through all the practiced religions. When one looks for truth there are many things thrown in one's path. This part of Africa has many people who practice witchcraft and who claim to have knowledge of the unseen and it was obvious they were just taking people's money. There is no one with knowledge of the unseen except God. I had been facing much mediocrity from the Church and at the same time I had Muslim friends who were very comfortable in their knowledge of God, who prayed five times daily and who had many virtues. They believed in what they said, in contrast to the Church, where you repeat what you have been taught without believing in it. I had never been taught any thing about Islam except a superficial introduction so I did a lot of reading about the religion. I cannot say that to convert to Islam was easy; it was very difficult. But when one is searching for the truth there is no way to deny it. The decision was also difficult for economic reasons as I had one of the highest paying professions with many perks. I resigned from my position citing my conversion as my reason and immediately lost my job and salary, housing and medical benefits. I became destitute in one day! My family does not like my Hijab (covering myself with modest attire) but they admire the moral aspects of Islam. I helped to raise my brothers and sisters and they are much younger than I, and now to see how much they hate me is almost unbearable. They felt the economic hardship immediately as I did, and cannot understand why I would do such a thing. But with the grace of Allah they too will find the truth of Islam, In Sha' Allah (God willing). 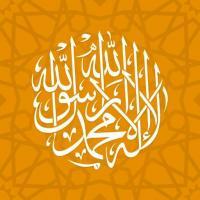 I hope and pray that I can use the knowledge that the education in the church gave me towards the propagation of Islam. The spiritual climate of West Africa is ripe for Islam and there are many projects which need doing. This is what I have been trained to do and so my path is straight and narrow for me now.